"Being new to town, we were referred to Eckard's through our realtor. They not only discussed details of our project the other companies we considered did not (lots of manufacturer's requirements on wood flooring we would have never known about! ), but they introduced us to an awesome array of other professionals... handy man, cabinet company, plumber... that we have been very pleased with so far. Go to Eckard's, John and Dane are both AWESOME! Thanks guys!." For over two decades, laminate floor materials have been used widely all over Europe. Most European and Asian houses have been fitted with laminate flooring due to its ability to resist moisture, its low market cost and the minimal maintenance requirement. The best laminate is tough and pleasing to the eye. So what is Laminate Flooring? Did you know that the surface of laminate flooring consists of an actual printed photograph? In fact, it is hard to spot the difference between natural materials like solid hardwood flooring from laminate unless you take a very close look. Laminate manufacturers mimic the natural products in their design to near perfection. Although they bear striking similarities, there is no hardwood species composition in the manufacture of laminate. What you did not Know about the Making of a Laminate? Most laminate wood flooring in the market today has four layers: The backing layer, the core, the photographic layer and the wear layer. The Backing Layer: The backing layer is the real deal for prevention against moisture penetration. It also enhances the structural integrity, which hardens the laminate. Depending on the manufacturer, the layer can be thick or paper-thin. 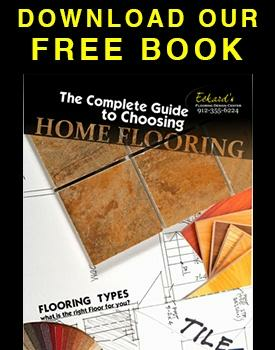 When choosing laminate, have a keen look at the structure of the backing layer. Our experts will guide you in making the right choice if you would like assistance. The Core: Different manufacturers use different compositions of materials to make the core of a laminate. The best laminate flooring has a core made up of wood products engineered and treated in resin to ensure their effective resistance during prolonged exposure to moisture and humid conditions. photographic image of a real object, for instance, a hardwood. Often referred to as a Décor layer, it is credited for the enhanced aesthetic beauty of the laminate wood flooring. For low-quality laminates, the photo color can change over time. Be on a careful lookout for quality products. The Wear Layer: This is the actual layer that comes into contact with our feet or furniture. It has numerous functions – sealing of the photographic material, holding the product texture and hardening the surface so that it can be able to withstand constant pressure from foot traffic and wear and tear. Cellulose coated with resin, melamine or the more common melamine make up the wear layer of a laminate.